You’ve always had the ability to delete an invoice in Harpoon, but deleting is a drastic action and there’s no turning back. 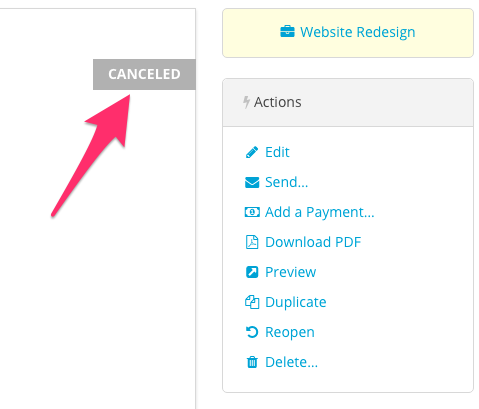 Starting today we’re adding the option to cancel an invoice instead. Unlike deleting an invoice, when you cancel an invoice the invoice doesn’t actually disappear from your Harpoon account. Instead the invoice remains in your account for historical reference, but it's no longer included in any of Harpoon’s metrics or reports. 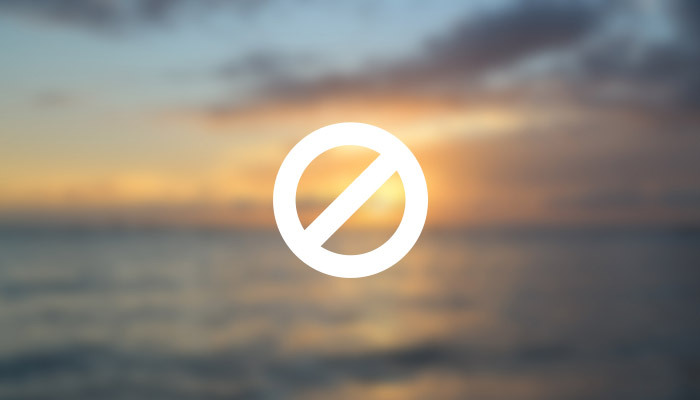 It’s also important to note that your clients can no longer view canceled invoices online. Here’s how it works. 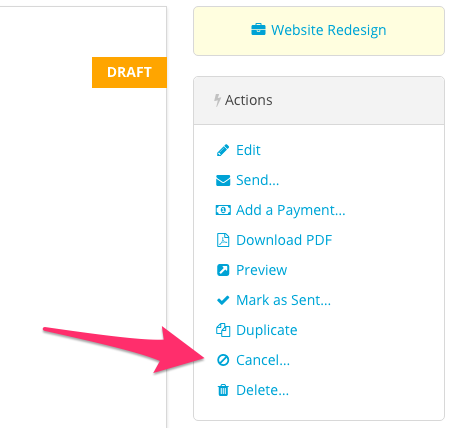 When viewing the details of an invoice you’ll see a new option in the Actions panel labeled “Cancel”. Clicking this action will trigger a confirmation explaining what’s about to happen. After the invoice is canceled it will be marked with a new “Canceled” status. 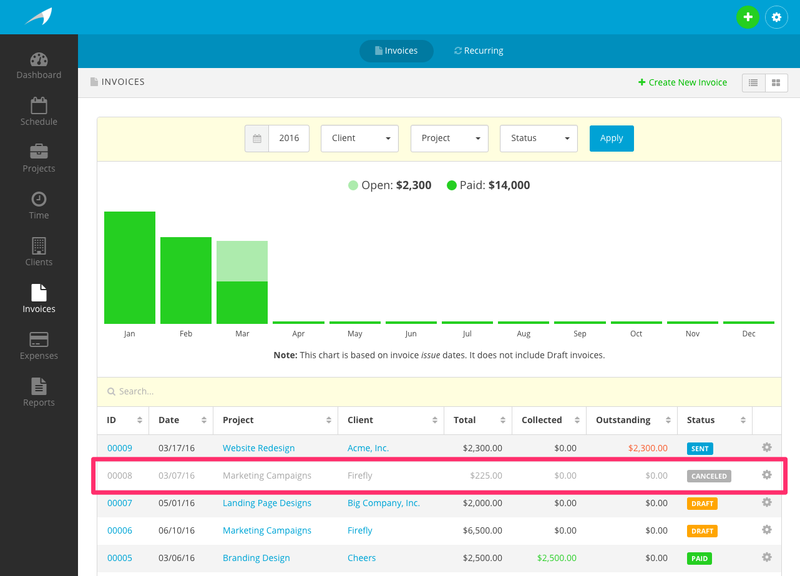 When viewing your main Invoices overview screen you’ll still see your canceled invoice within the list of other invoices for historical reference, but it will no longer be included in any of Harpoon’s metrics or reports, and your client will no longer be able to view the canceled invoice online. Canceled invoices can also be reopened should you need to do so in the future. 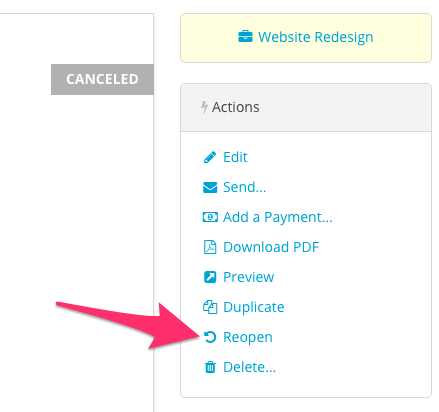 When viewing the details of a canceled invoice you’ll see a “Reopen” option in the Actions panel. Clicking this action will remove the canceled status from the invoice, and the invoice will again function like a normal invoice. We hope the ability to cancel an invoice provides an added layer of flexibility to how you manage your invoices.